Matthews Pierce & Lloyd, Inc. The willingness to pay for a job well done dissipates quickly over time. The sooner a delinquent account is referred for recovery, the higher the chances for a full and rapid recovery. Every dollar recovered restores charges against profitability that would otherwise be made either now or in your next reporting cycle. 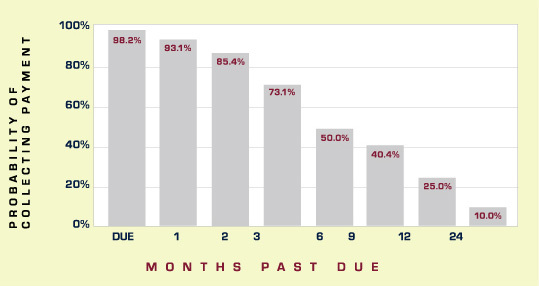 Delaying the referral of delinquent receivables costs your company money. Recovered receivables go directly to your bottom line.